We found these raincoats on offer today – reduced… so we bought them all. With the £197 we had we bought these raincoats, loads packs gloves, some foil blankets and pack underwear! 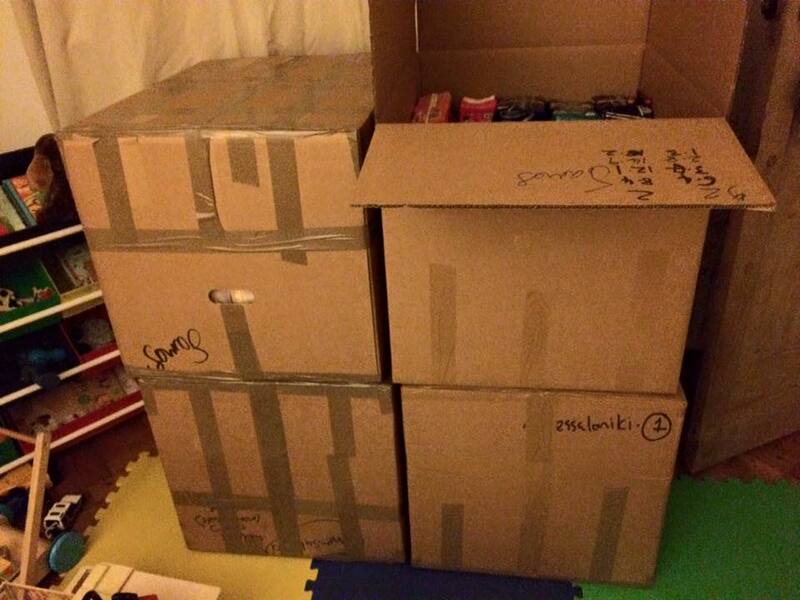 All in boxes ready to leave tomorrow.